Steph - I had never been the girl who "always dreamed of her wedding day," in fact...the thought of planning a big event that was all about me was pretty scary! Neither Mike nor I were into the idea of a big lavish wedding and knew right from the beginning we wanted a fun party, great food and amazing music. I expected to be a big ball of jitters and anxiety the day of our wedding and to EVERYONE'S surprise I was so calm and relaxed. I just had this feeling that everything was going to come together and it did thanks to family, friends and incredible vendors! In the end we got exactly what we had always hoped for...a killer dance party and food people are still talking about. 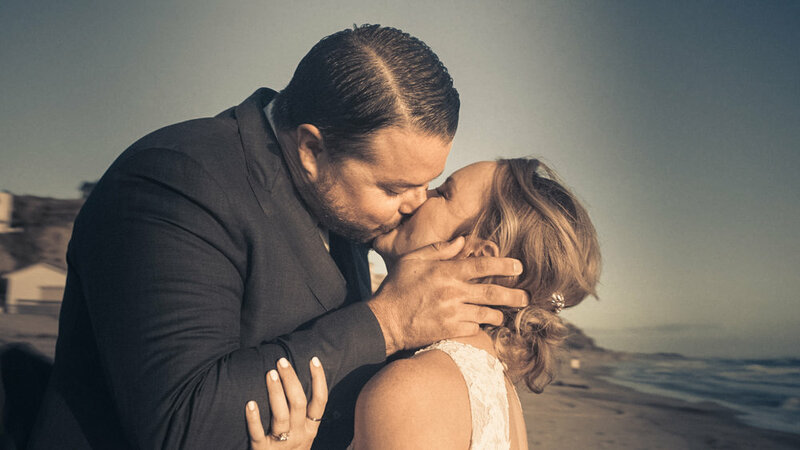 Mike - I didn't think I would be nervous at all, and then right before Steph was about to walk down the aisle this wave of nerves came over me. After the ceremony I was just ready to celebrate with my beautiful bride and couldn't wait to surprise her with our flash mob performance. Every aspect of the wedding was perfect and we had such an incredible time dancing the night away with our closest friends and family. Steph & Mike were such a blast to hangout with! Their goal was to have a great time and dance it out, that goal was absolutely achieved. The wedding really had that party feel, especially with a live cover band rocking in those over the top outfits. It was such a great atmosphere and a rocking party. The pizza!! Like every mans dream wedding involves amazing pizza and a rocking band. Mike is a super lucky guy and Steph found a winner! Thank you for having us play a small role in your big day!